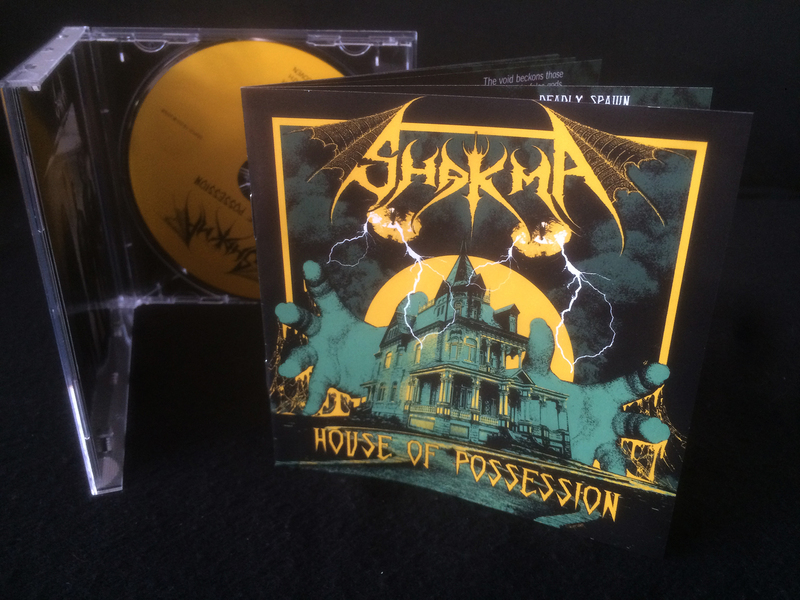 Duplicate Records are proud to present Haugesund, Norway's SHAKMA. Taking their lyrical inspiration from 80s horror B-movies, it should come as no surprise that their music too is deeply rooted in the decade when speed and thrash metal ruled the underground. Their influences may be obvious, but there is nothing "B", or redundant about SHAKMA, as their ferocious debut is like a fresh blade through your already broken neck (from headbanging)! Enter the House Of Possession! Ltd. 500 copies, jewelcase CD w/12 page booklet.